Why am I not allowed to eat lunchmeat? Why do I need to avoid feta cheese? I know that fish should be included as a healthy part of my diet, but which types of fish are dangerous to eat while pregnant? Avoid raw, undercooked or contaminated foods. 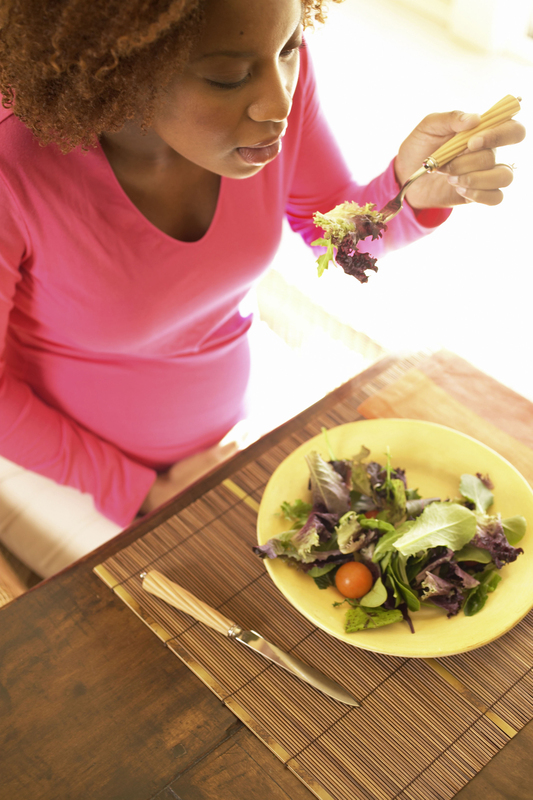 Pregnancy puts you at increased risk for food poisoning. To prevent foodborne illness, it is recommended that you completely cook all meat, poultry, eggs and seafood before consuming and thus avoid raw meat, fish and shellfish. In addition, hot dogs and lunchmeats can be a potential source of a serious foodborne illness, known as listeriosis. These foods should be cooked to the proper temperature or avoided completely. Avoid unpasteurized foods. Lowfat dairy products, such as skim milk, cottage cheese and mozzarella cheese, can be a healthy part of your prenatal diet. However, consuming food items containing unpasteurized milk while pregnant could lead to foodborne illness. Unless clearly marked on the label as being pasteurized, the following foods should be avoided: Brie, feta, Camembert, blue and Mexican-style cheeses. Avoid seafood high in mercury. Fish and seafood are a good source of lean protein, omega-3 fatty acids, vitamin D and other vitamins and minerals. But some fish contain harmful levels of mercury. If consumed regularly by pregnant women, methyl-mercury can harm the developing brain and nervous system of the baby. Fish with the highest levels of mercury should be avoided; these include shark, tilefish, swordfish and king mackerel. Other fish with high levels, which should be limited, include Chilean sea bass, halibut, snapper, tuna, grouper, monkfish and orange roughy. It’s best to eat shrimp, crab, salmon, cod and tilapia, which are low in mercury and can be consumed twice per week. Canned light tuna is another lower-mercury choice but should be limited to one 6-ounce serving per week. Consuming a well-balanced, nutritious meal plan is one of the greatest gifts for your new baby. The food we eat will help to determine the nutritional health that our baby is born with and will provide a model for their eating habits later in life. It is never too late to start by making healthy choices. If you have any questions regarding healthy eating before, during or after pregnancy, please call the Rush Nutrition and Wellness Center at (312) 942-DIET, to speak with one of our qualified dietitians. Kelly Kinnare, MS, RD, LDN, CNSC, is a nutrition support dietitian who works in the Surgical Intensive Care Unit at Rush University Medical Center. This entry was posted in Children, Food and Nutrition and tagged prenatal nutrition. Bookmark the permalink. Be careful about herbal teas, tisanes, and other ‘natural remedies’ that may contain potentially damaging substances. Also, watch the over-the-counter cold medicines. Many have potential dangers these medications can have on the fetus. Checking with your pharmacist would be a good idea when you are done with your dietitian.